Anzac class frigate HMAS Stuart. Image via Commonwealth of Australia, Department of Defence. 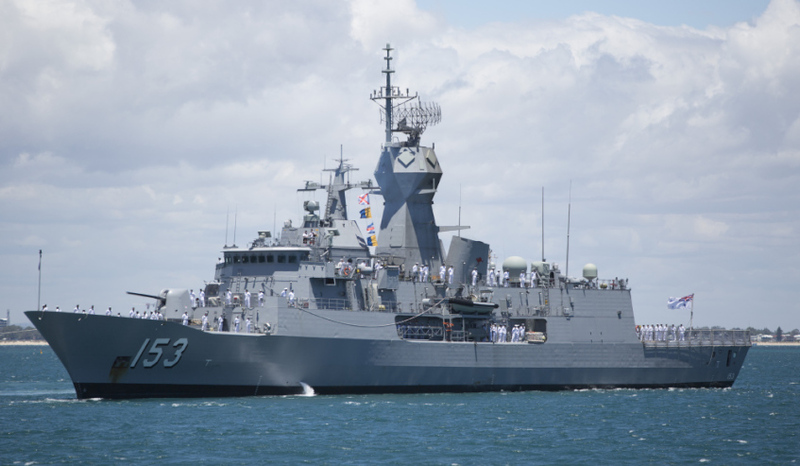 After months of pressure from the Senate, the SEA 5000 Future Frigate tender documents have been released, revealing Australian industry participation for the project has only been set at 50 per cent. Former senator Nick Xenophon obtained the documents via Freedom of Information after Defence refused to produce the documents in May last year. The documents state that the tendered proposal must contribute to developing and sustaining shipbuilding capability in Australia and maximise Australian Industry Capability during the build, and sustainment of the vessels, yet the target set by the government sits at just 50 per cent. "The Air Warfare Destroyer Program has achieved Australian contract expenditure in the order of 50 per cent across the whole program. While the Commonwealth acknowledges there are significant differences between the Air Warfare Destroyer Program and this project, the Commonwealth expects that this project will achieve the same or higher level of Australian contract expenditure," the tender document reads. The figure is in stark contrast to the numerous figures that have been put out by the government for other naval shipbuilding projects. Defence Industry Minister Christopher Pyne previously backed a 90 per cent figure put out by then CEO of DCNS (now Naval Group) Sean Costello. The government has since seemed to walk away from that figure, with Minister Pyne telling journalists at the Pacific International Maritime Exposition in 2017 that "a local build is 60 per cent … That's the definition of a local build." Senator Rex Patrick, a former submariner and defence industry project manager, has slammed the tender documents and the government for the 50 per cent figure. “The documents represent nothing short of a massive policy failure,” Senator Patrick said. "It seems Minister Pyne has gone from '90 per cent man' to '60 per cent man' and now down to '50 per cent man'. It’s an assault on Australian companies and jobs." This is not the first time the project has come under fire from the Nick Xenophon Team, with leaked snippets of the tender last year revealing the three foreign tenderers were told ASC Shipbuilding and its workforce does not have to be used in the project. "In particular, the Commonwealth is not mandating that the successful tenderer use the workforce of ASC Shipbuilding Pty Ltd currently working on the AWD Program," the RFT reads. At the time of the leak, Xenophon said the documents effectively shut out ASC from the $35 billion project, labelling the move "an act of bastardry and deception on a grand scale". "If the government doesn't stand up for Australian shipbuilding and create a sovereign capability, it will undermine national security and compromise export markets and, in the process, cost thousands of local jobs and billions of dollars in economic activity," he said. Construction of the nine Future Frigates is scheduled to begin in Adelaide in 2020. A decision on the successful tenderer is expected by April this year.